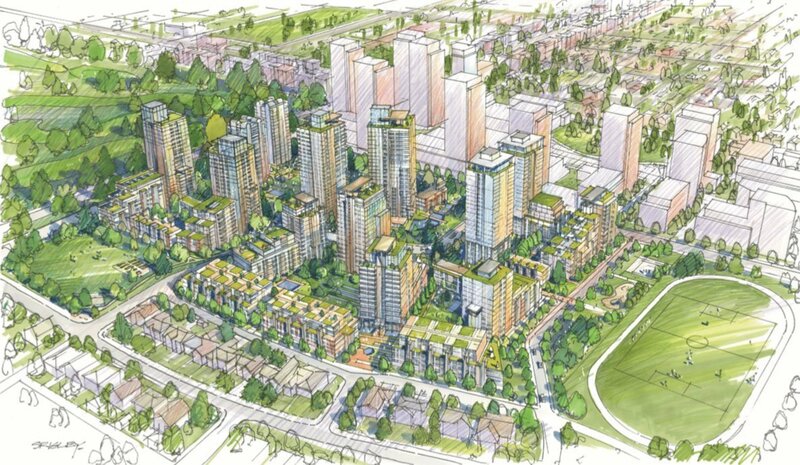 A plan to dramatically reshape Langara Gardens on Cambie Street between West 54th and West 57th is taking shape. 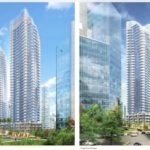 The City of Vancouver, Concert Properties and Peterson Group have released a policy statement to guide redevelopment of the 21-acre site, which is adjacent to another major redevelopment — the Pearson Dogwood lands by Onni. 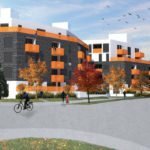 The plan calls for the creation of up to 2,000 new homes in a variety of building types ranging from three to 28 storeys. A minimum of 20 per cent of the units are required to be affordable housing units. The four existing concrete highrise towers, all but one of which were built in the late 1960s, will be retained. They will be structurally upgraded to improve performance in the event of an earthquake. 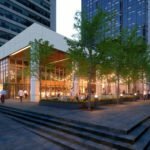 There will be 25,000 square feet of “locally serving retail,” and retail spaces in the podium of the existing towers will be retrofitted. 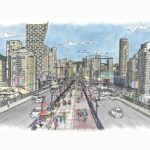 Two new north-south roads will be created through the site, with a focus on pedestrians and cyclists. 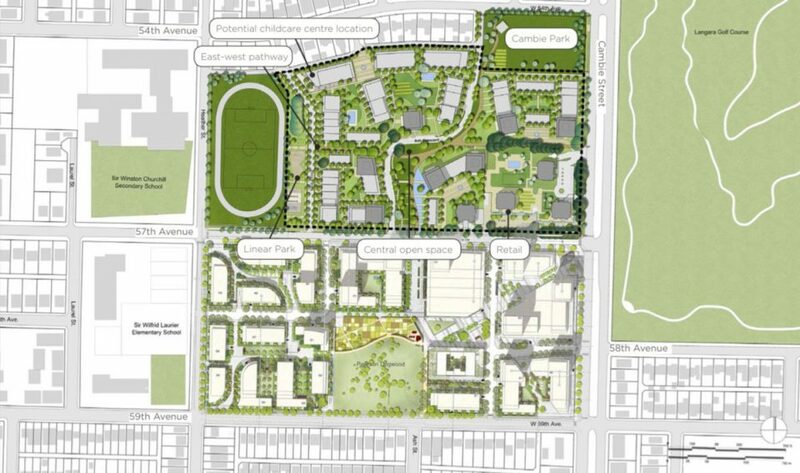 The redevelopment will also add new health facilities, a future YMCA, a large park and a 69-space childcare centre. 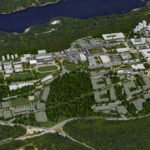 The existing track across from Sir Winston Churchill Secondary School will also be enhanced. When the Canada Line was built, provisions were made for a future station at the corner of West 57th Avenue and Cambie Street. 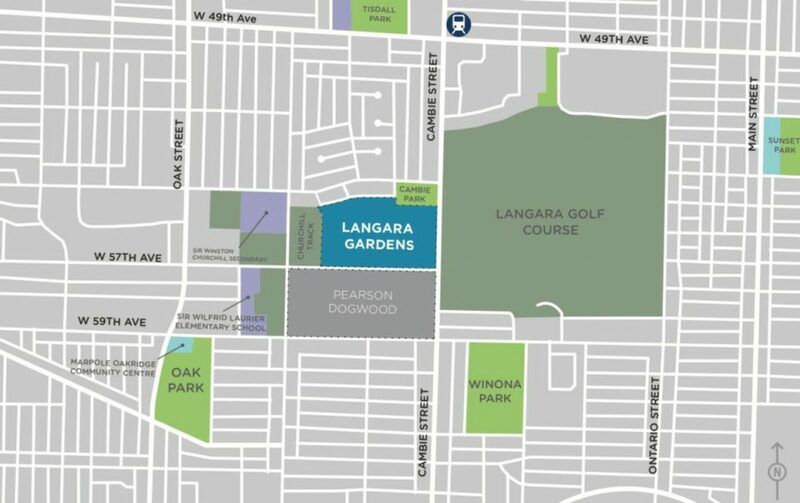 Some funds from the redevelopment of Langara Gardens will be allocated for the potential future station, although no specifics were available. 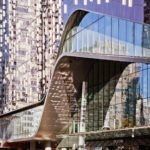 The architect on the project is James K.M. Cheng Architects.